"The secret was in the sauce... Pizza, from scratch (no, I didn't make it...)"
Could I be more hipster? "Mint tea at the Hookah Bar via Instagram. Could I be more hipster?" Supurbly unflattering cover photo aside, this collection of conversations with a legendary film star was originally reviewed for DVD Snapshot. Do you really get to know the woman, or is she the living embodiment of the Sphinx herself? I'm still not sure. Legendary actress Charlotte Rampling (Heading South, Melancholia) is "the perfect confluence of brains and beauty" (Time Out NY), and The Look is the entrancing documentary that brings you into intimate contact with both. Director Angelina Maccarone has Rampling engage in candid conversations with many of her closest friends, including author Paul Auster and photographer Juergen Teller. Very much at ease with these old acquaintances, Rampling reveals her views on aging, beauty, desire and death with disarming frankness. Often these conversations veer into the questions raised by her films, like the taboo sexuality of The Night Porter and Max mon Amour, or the tough moral choices of Sidney Lumet's The Verdict. This "haunting and captivating" (LA Times) portrait was an official selection of the Cannes Film Festival and features clips from many of Rampling's films (including Woody Allen's Stardust Memories, and Francois Ozon's Swimming Pool), showing the breadth and depth of her talent. The Look is a revelatory documentary that deeply explores the mind and work of one of the greatest artists of the past 40 years. Box-copy hyperbole aside, Charlotte Rampling has always been a mesmerizing movie star, one better than many of the films she's in. For every classic like The Night Porter, Swimming Pool, or The Damned, there's also been an Orca, Zardoz, and Basic Instinct 2 (this last film would have benefited greatly by focusing on her instead of its lead). As a lioness in winter, however, her sixties are suiting her. 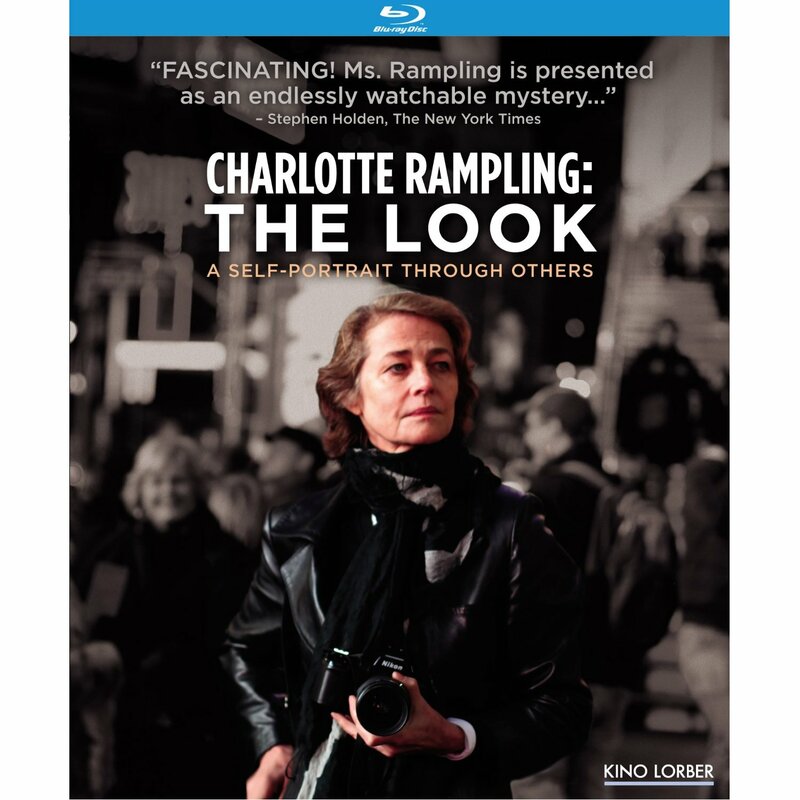 That voice remains, richer than ever, and her insights are well-earned, but Charlotte Rampling: The Look is named for her legendary beauty and direct gaze. The remarkable face has aged untouched by doctors, the heavier eyelids addressed first thing. The conceit here of a "Self Portrait Through Others" should be a smart way to get a subject feeling comfortable enough to open up. The series of discussions held here by Rampling and friends feel like a celebrity interview show. Unfortunately, most of them are self-consciously staged. The woman in question turns out to be observant, intelligent, and realistic. She muses on a series of topics including life, aging, film acting, and beauty... but is also never less than pre-meditated. As The Look keeps you conscious of the camera, and reminds you how good she is in front of it, you have to ask "Is she performing for it as herself, or just performing?" "Chris concentrating on photo editing during a lazy afternoon"
"My all time favorite Bloody Mary - "it burns, it burns!"" Reviewed for DVDSnapshot, and recommended to everyone, this "Kung Fu Movie Movie" is the most fun Friday Night Flick I've seen in quite a while. Films of Fury has the subtitle "The Kung Fu Movie Movie," and that's just the sort of irreverent fun this documentary is going for. With plenty of film clips and animated segments tying it all together, this is a breezy but comprehensive look at the history of Chop-Socky flicks. Kung Fu on film is about the gracefully executed choreography as much as the whoopin'. "I finally got the shelves I've wanted for years, and we didn't kill each other putting 'em up, either... Now we just have to figure out what goes on them." A perfect documentary to share with the moms and daughters in your life. Originally reviewed for DVD Snapshot. Writer/Director Jennifer Siebel Newsom interwove stories from teenage girls with provocative interviews from the likes of Dr. Condoleezza Rice, Lisa Ling, Nancy Pelosi, Katie Couric, Rachel Maddow, Rosario Dawson, Dr. Jackson Katz, Dr. Jean Kilbourne, and Gloria Steinem to give us an inside look at the media and its message. As the most persuasive and pervasive force of communication in our culture, media is educating yet another generation that a woman's primary value lay in her youth, beauty and sexuality-and not in her capacity as a leader, making it difficult for women to obtain leadership positions and for girls to reach their full potential. The film accumulates startling facts and asks the question, "What can we do?" Presented by the OWN (Oprah Winfrey Network) Documentary Club, Miss Representation covers areas that haven't been covered enough and should continually be addressed. 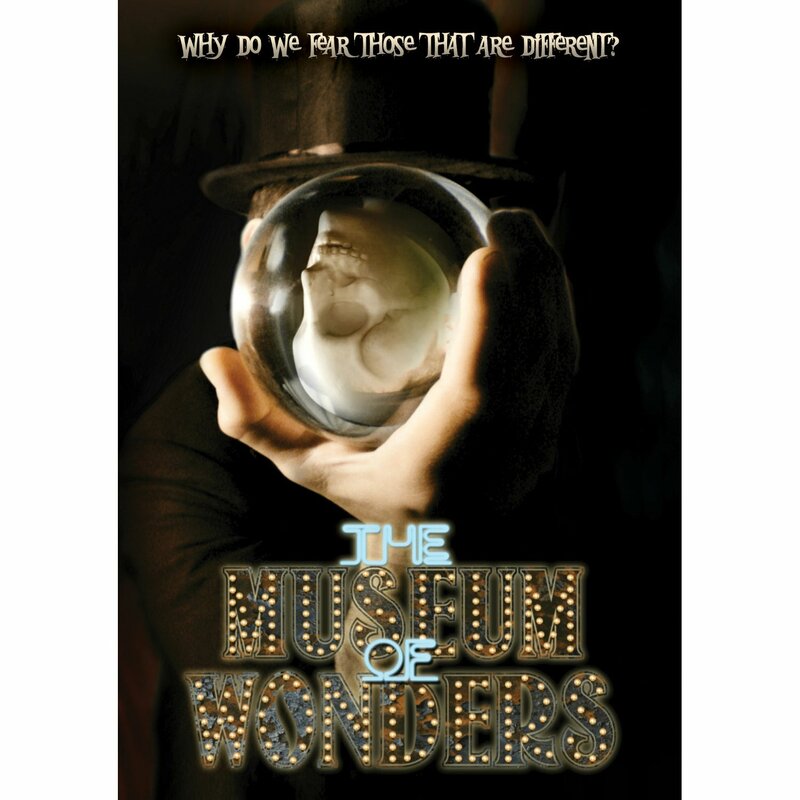 This week we visit The Museum of Wonders on behalf of DVDSnapshot. The more time that passes, the more I'm convinced this is one for independent film fans. Perhaps perfect for a double-bill with The Last Circus? When the beautiful dancer Salome learns that the dwarf circus owner Marcel has just received an inheritance, she marries the lovesick, diminutive performer. All the while planning to steal his fortune and run off with her lover, strong man Sansone. When Marcel and fellow performers discover her evil plan, they band together to carry out a beautiful revenge. In this theatre, The Museum of Wonders, frozen somewhere between reality and a dream, we find ourselves facing a mirror reflecting our souls, through the embodiment of our utmost fears. Perhaps we wouldn't stare in amazement if we thought for just one moment, that these masks... these characters, are simply us. It's not by mistake that Domiziano Cristopharo opens The Museum of Wonders with a face in the moon clearly inspired by film pioneer Georges Méliès. It reminds the audience that with creativity and the sparest of cash, any filmmaker can stamp of personal vision upon a movie. Essentially a retelling of Tod Browning's Freaks set among a side-show experimental theater company: Treacherous beauty wiles her way into the heart of a dwarf performer and, upon betraying him, faces the wrath of his true love and the extended family of oddities. There's still some lovingly photographed physical deformities (and the world's scrawniest strongman), but these sword-swallowers, bearded ladies, mimes and the rest make up a self-selected family of outsiders to which she doesn't really belong. Is it any wonder her transgressions must be punished?